We will be releasing the apparel at High North Session 2 and throwing stickers, hats, etc. at campers so make sure you go! Our new apparel includes two t-shirts, a zip-up hoodie, a trucker hat, and a basketball jersey. The style of our apparel is 50/50 in whichhalf is "laid back" and the other half is "retro 80's".. We plan on releasing the new site July 1st at the LATEST. Unfortunately, the Headwear section of the Online Store will be closed for a while as we try to stockpile our new crotched headwear line for the 05/06 winter season. In addition to this, we are looking to hire 1 or 2 great crocheters. In order to obtain this job, you need to prove to us that your crocheting skills are par with ours and you MUST be either from Minnesota, Utah, New Hampshire, or Massachusetts (we're not picking favorite states or anything, it's just easier for us to contact you if hired). Pro Team:Jacob WesterZach DavisonCraig CokerGrete EliassenAshley BattersbyTyler BattersbyTosh PetersMax PetersCedric Tremblay-FournierAm Team:Matt WalkerIan CoscoAdam BattersbyAdam FalkLance SeemanMark DvorakList is subject to change soon with other riders joining. 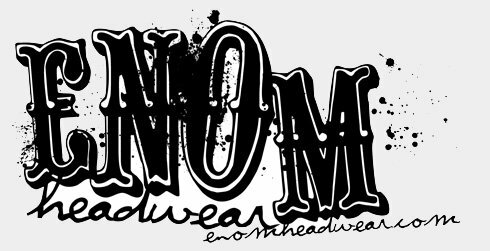 Keep checkin' the website http://www.enomheadwear.com for updates.. as well as our apparel manager's site http://www.jibtastic.com to see his work. Also check out our riders in upcoming movies such as Stept Productions "Blueprints", Poor Boyz Productions "War", RAGE Films "Booter Crunk", Off Trail Productions "The Eleventh Hour", and Theory-3's "Safety Meeting"
The new mobile update is out. Character customization and Lincoln loops are here! Along with a bunch of other fixes including the annoying rail floating glitch. Once again the longest running talent search has unearthed some gems. This page will continually update as more semi-finalists are released.